Ryuga1st appearances is on "Kamen Rider Ryuki" series. 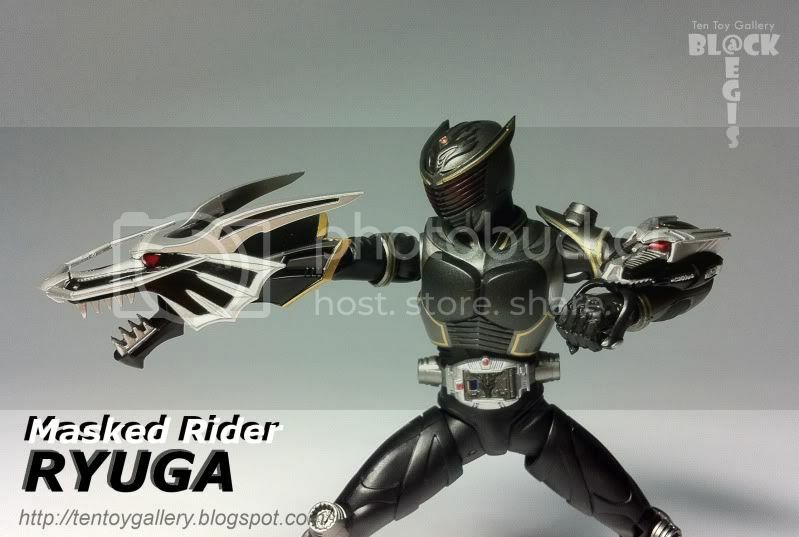 Ryuga is a copy of Kamen Rider Ryuki. The differences are the color, head and belt logo. This figure is the Tamashii WebShop item which is very rare to get a piece (for my case, it takes 2 weeks for me to get this item). The packaging looks similar to ryuki's packaging. Inside the content, it comes with the same accessories as ryuki plus an extra clear visor.